The WBA has scheduled four purse bids for February 6th, two for legitimate titles and two for, well, WBA titles. 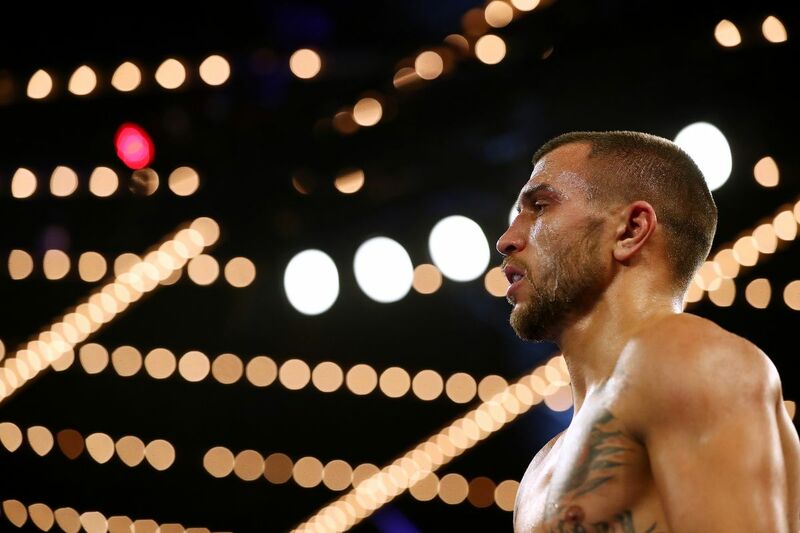 LEGIT: Down at lightweight, champion Vasiliy Lomachenko and #1 contender Anthony Crolla will split their bid 75-25. It was originally scheduled for February 4th, but moved for unrevealed reasons. Crolla (34-6-3, 13 KO) stopped Darleys Perez for the belt in 2015, then lost it to Jorge Linares after knocking out Ismael Barroso in his lone title defense. Linares, in turn, lost the belt to Lomachenko (12-1, 9 KO) in May. NOT: Despite the possibility of Jarrell Miller fighting Anthony Joshua in June, the WBA are going ahead with a bid between Miller (23-0-1, 20 KO) and interim heavyweight champ Trevor Bryan (20-0, 14 KO). Inspite of both the WBA’s “super” (Anthony Joshua) and “regular” (Manuel Charr) champs being active, Bryan got the belt by knocking out BJ Flores even though neither man had ever beaten a warm body at heavyweight. LEGIT: Super bantamweight kingpin Daniel Roman (26-2-1, 10 KO) has #1 contender Murodjon Akhmadaliev (5-0, 4 KO) to deal with. Roman has won three straight since knocking out Shun Kubo for the belt, while Akhmadaliev won bronze for Uzbekistan in Rio. NOT: Beibut Shumenov (18-2, 12 KO) was gifted a shot at the “regular” cruiserweight belt against unranked Hizni Altunkaya last July despite a two-year layoff. His #1 contender, who’s arguably accomplished more at 200 pounds than Shumenov, is Arsen Goulamirian (24-0, 16 KO). “Super” champ Oleksandr Usyk has, of course, been plenty busy.